We all take breathing for granted, until it becomes difficult. Breathing is actually a very complex process. Air is pulled into your body, passing through your nose and larynx into the bronchi, at the lower part of the trachea, and then finally air enters into your lungs. As the bronchi reach further into the lungs, each bronchial tube gets smaller in order to transfer oxygen into your blood stream and remove carbon dioxide. As you can imagine, with this many processes occurring, when a respiratory issue arises, it can have a major impact on your health. 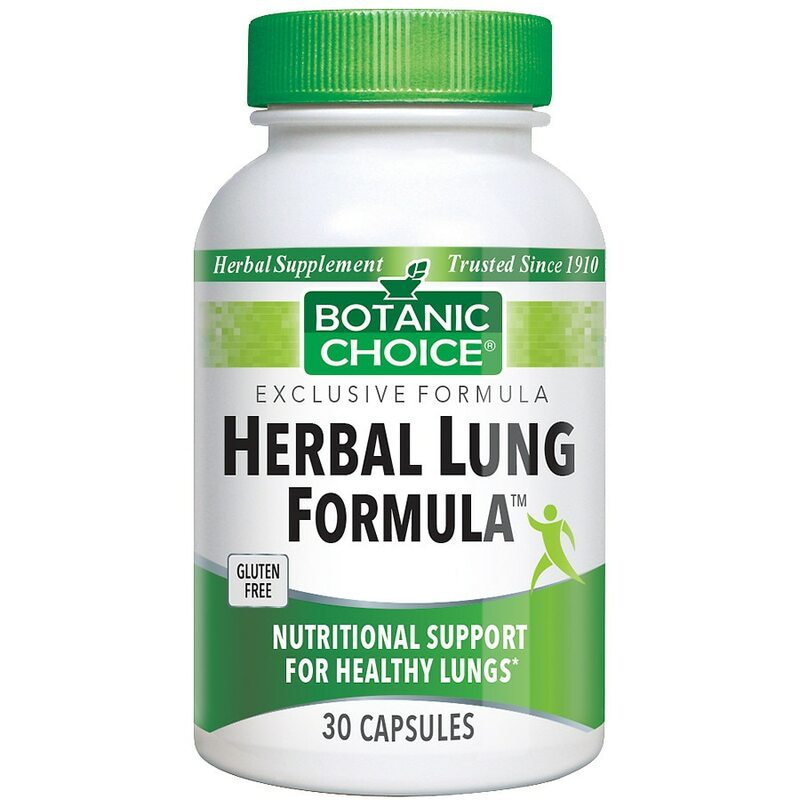 Help keep your bronchial tubes and lungs health and clear with this popular formula. See what a difference it can make in your life! Take 1 capsule daily, with a meal, as a dietary supplement, or as directed by a physician. © 2012 Indiana Botanic Gardens, Inc. If you are taking any medications or are pregnant or nursing do not use prior to consulting a physician. KEEP OUT OF REACH OF CHILDREN.